Stunning image of the marvelous golden eagle on a lettersheet from Finland. Part of the series "The endangered animals in Finland". 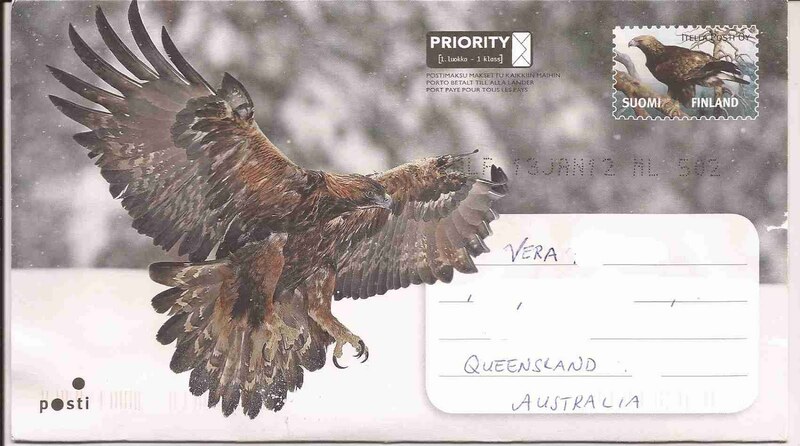 This is a wonderful piece of modern postal stationary suitable for any thematic bird stamp collector.Thank you to my friends in Finland who sent this.